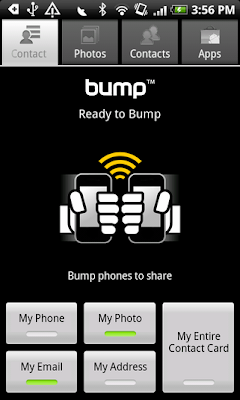 Bumping your phone with latest version Bump 3.3.0 which is designed for sharing files, contacts and photos - By Bumping your Android Phone with another android Phone OR your iPhone to another iPhone. Before starting, you need to configure Bump so that it can understand which information you'd like to share. 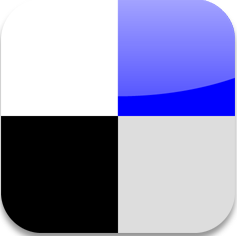 You can select to include your phone number, email address, address although you can also attach photos, even apps also. 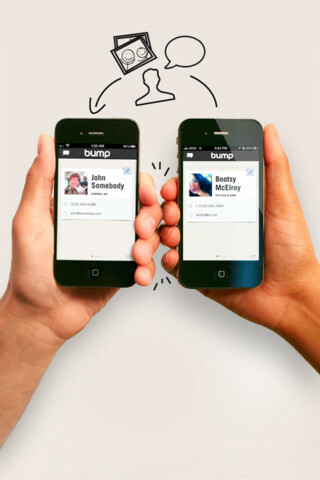 In order to initiate the transfer needs to have Bump installed on both phones. Once both phones ready to transfer, just tap the phones against each other and files will be transferred from one phone to another phone. Bumping from Phone to computer! 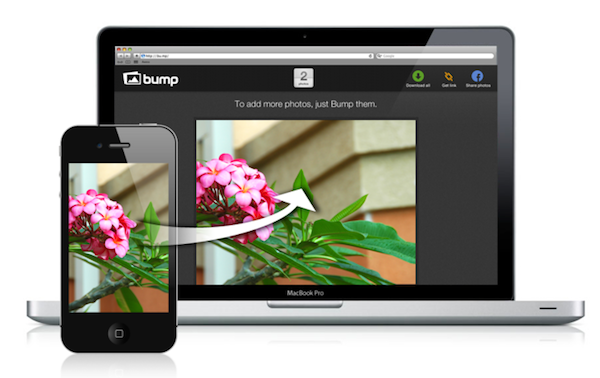 go to bu.mp from your internet browser and follow the steps thats all.